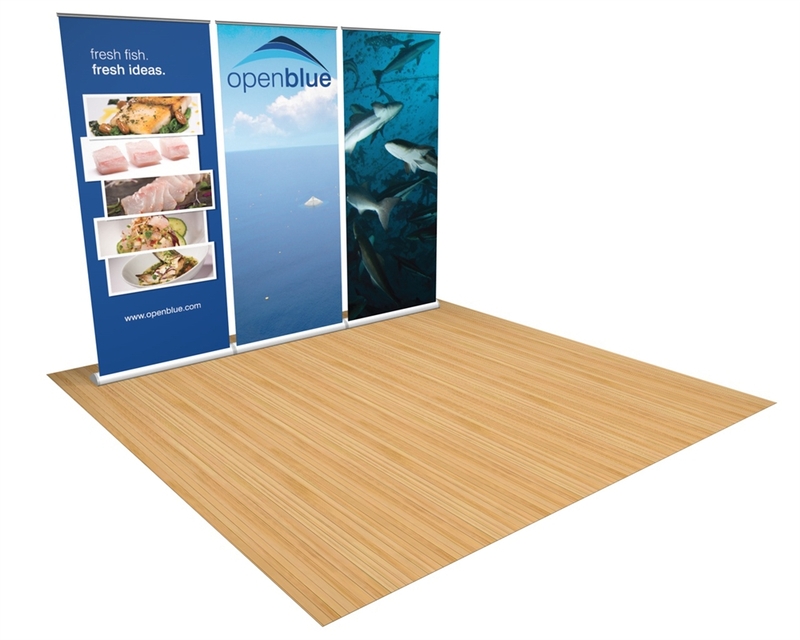 Set of three Orient banner stands aligned to create a back wall or can be used as individual panels. Kit includes hard shipping case that converts to a counter and overhead lighting. 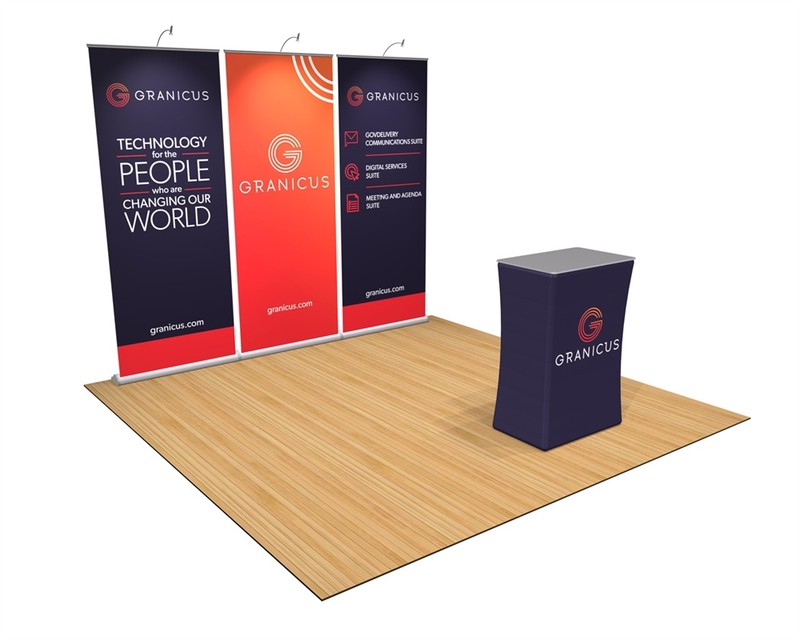 Banner stand wall that utilizes three Penta banner stands: the center retractable stand is a wide design for accent. Use as a wall or individually depending on your design, each ship with their own padded nylon carrying bag with strap. 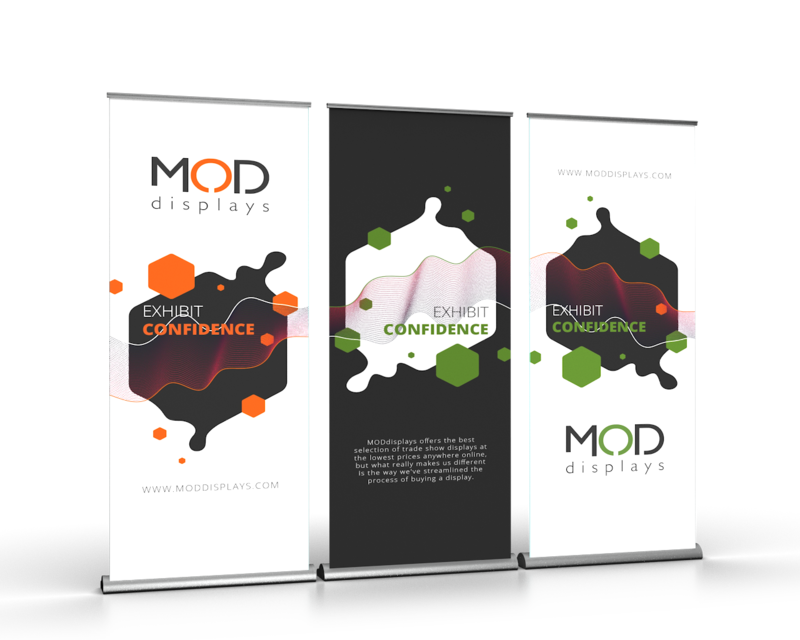 Set of three Orient banner stands aligned to create a back wall or can be used as individual panels. Offers an optional fabric upgrade and ships with a soft nylon padded carrying bag. 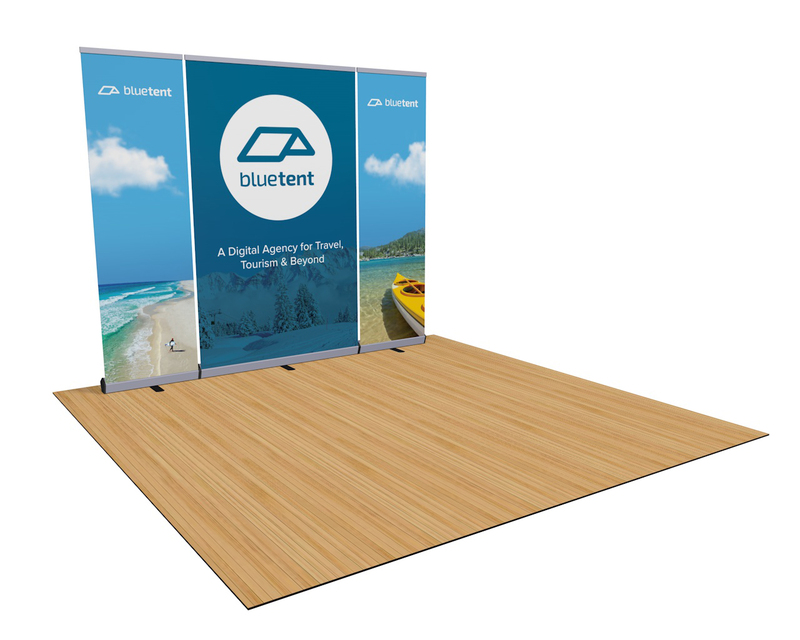 Each retractable banner stand sets up in seconds, and packs down small into three individual nylon bags with straps for easy transport. Vibrant and fade resistant graphics roll-up on a spring loaded casette. One of the simplest set up options for one person staff such as a college admissions representative, non-profits, or other small teams. 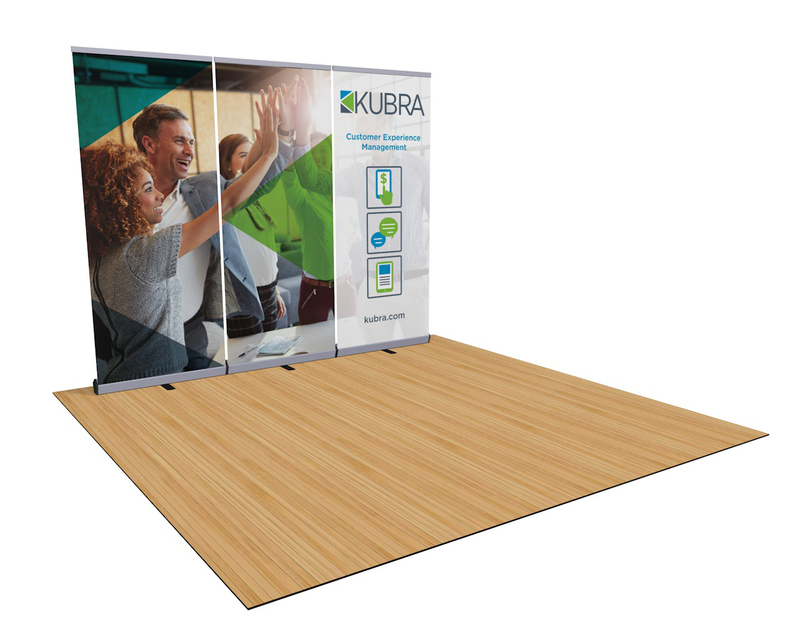 The three individual units allow for versatile configurations or for use separately.